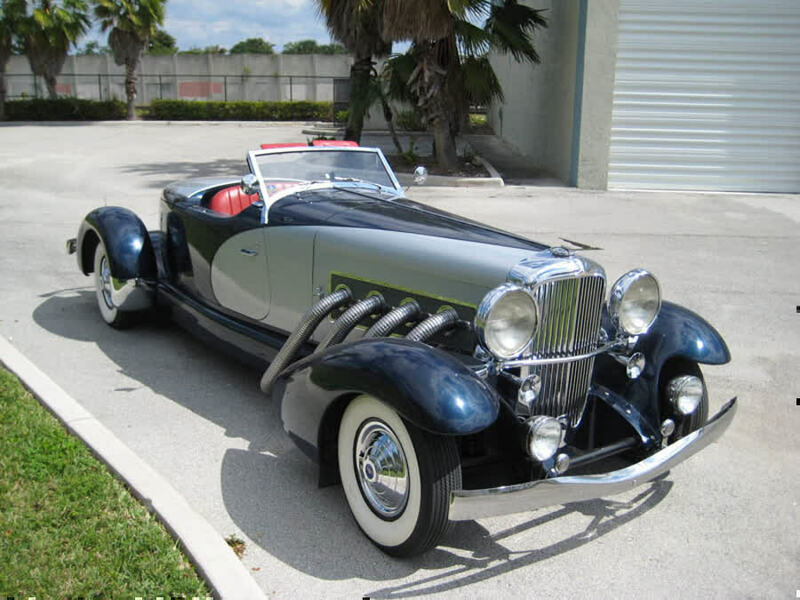 1933 Duesy Boattail Speedster Continuation car. Factorybuilt in 1980 by Elite Heritage Motors , who owned the name Duesenberg at that time , and built a very limited amount of these models ( around 25 according to the builder ) These beautiful cars sold THEN - and I have a original brochure proving that - for around $170,000 ; that would be around $300 - 400,000 in today's money ! Cannot compare to any Auburns built ever ; much , much taller and longer..A Auburn and a half ! 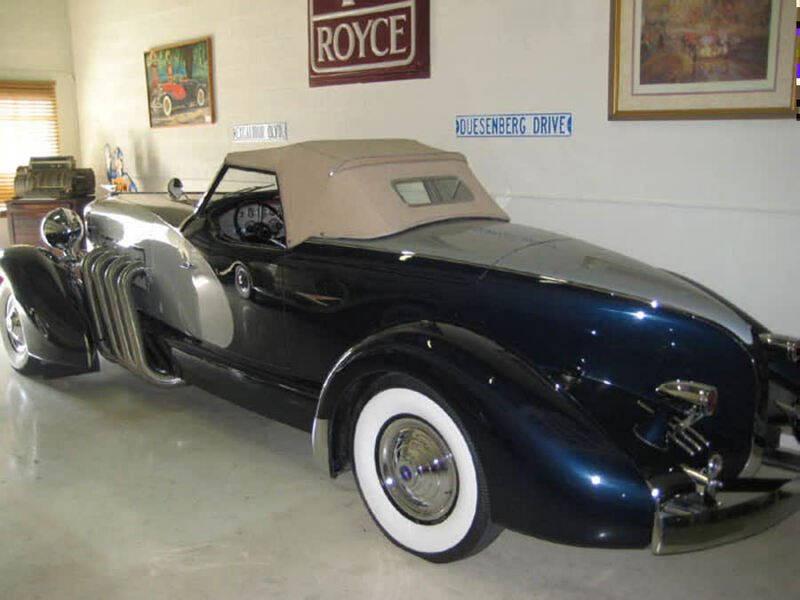 Or , maybe I SHOULD compare ; a new Auburn Speedster goes for $100 K , and it's not HALF the car this is ! These Duesenberg II's have really been appreciating in value lately , and rightly so. This is a 1 owner , low 12000 miles car. Ford 460 cu. V8 Bigblock , power everything. Huge 153,5 " correct wheelbase. 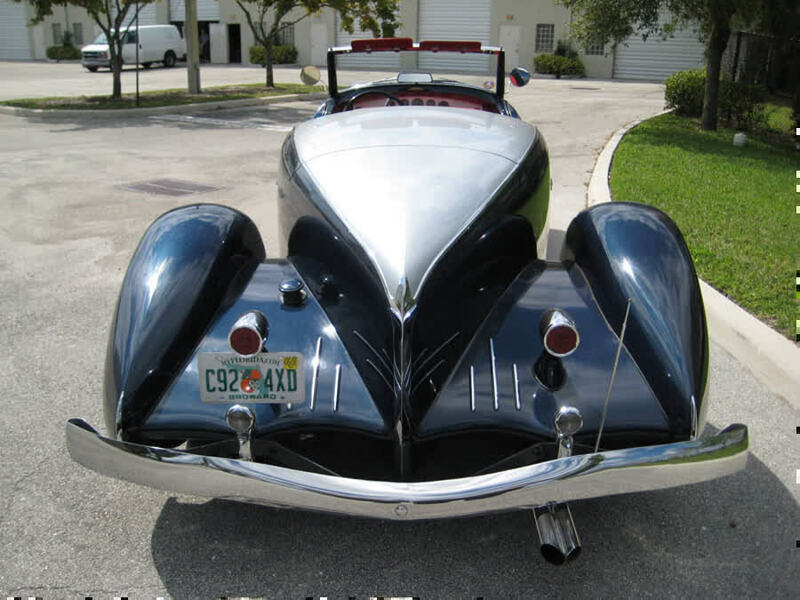 Built after the famous Weymann Speedster that is now worth approx. 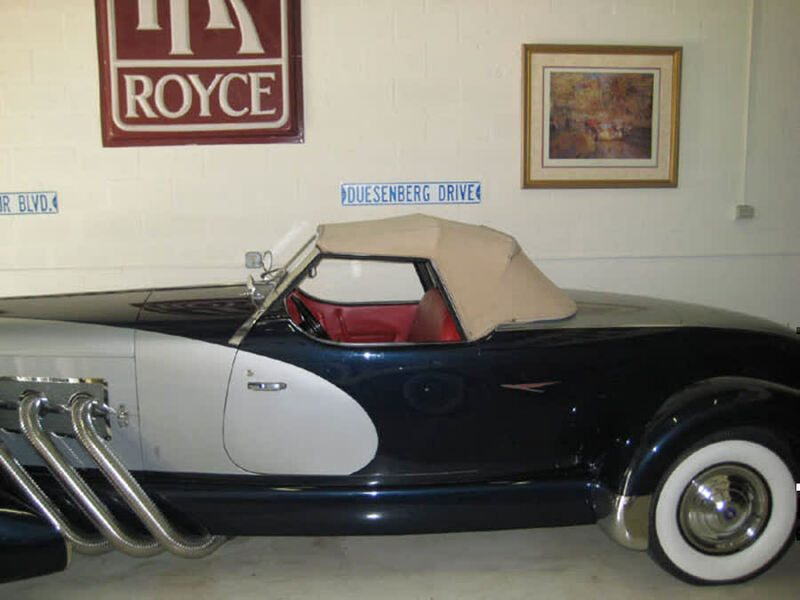 $ 7 million plus , being a one - off car and probably 1 of the most famous Duesenbergs ever built. 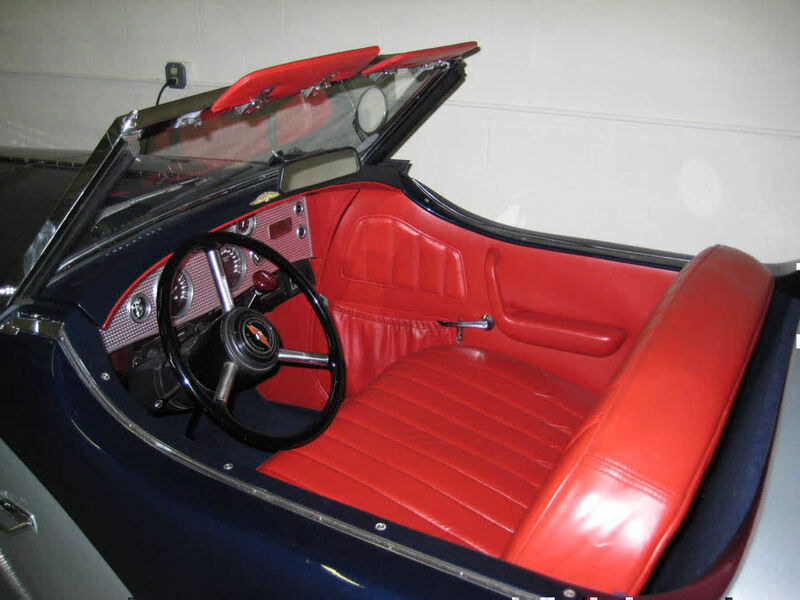 This handsome car is finished in midnight blue with silver coves and red leather intrior ! Car runs and drives beautiful , no squeeks or rattles , and has a very nice exhaust note. Lots of power too. She stops traffic anywhere you go. People will actually get out of their cars to ask you what it is ! You better not be a shy person , for you're instant celebrity driving her around ! 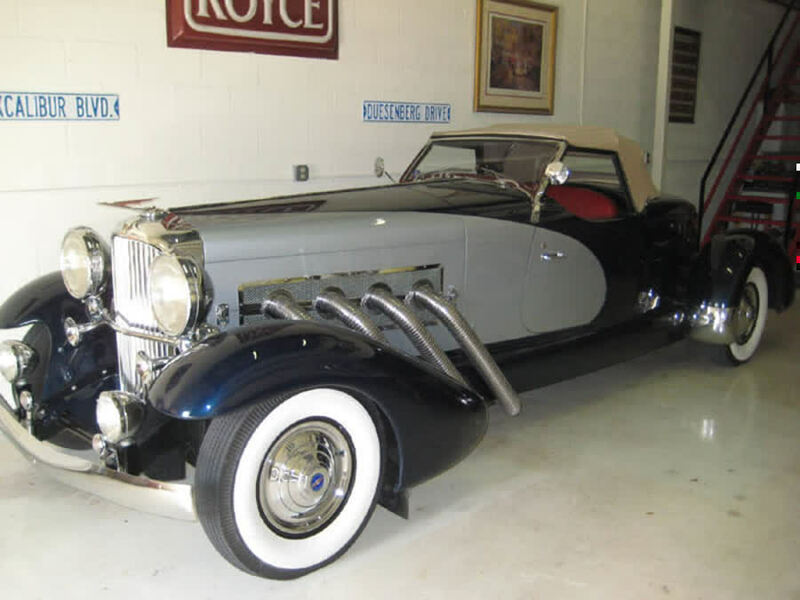 Park or drive her next to a brand new Rolls Phantom and see the people rubbernecking towards the Duesenberg instead..A very reliable car too ; take it anywhere and you won't have to worry about hard to fix or replace parts. The best of both worlds. Powersteering , brakes , everything including windows and seats ! Even has airconditioning. Softtop folds away in huge luggage space in the rear. Aut. trans shifter looks like a stickshift on the floor. New wilton carpets. Original paint looks nice and shiny , but has just a few very minor hair cracks here and there from age. Chrome looks great all around and car is supertight. Most hardware is all brass that's been chromed , just like with older cars. None of the stuff some of those older Auburns have like wobbling headlights and shaking fenders when you go across some railroadtracks ; this car is factory built like a tank ! A great investment too. A very rare opportunity to aqquire one of the finest cars made. Transport anywhere on the globe gladly arranged. Inspections welcomed. Might entertain interesting trades. Please CALL me for further info , since I'm traveling a lot trying to find these wonderful works of rolling art ! Thank you for your interest , J.P. van de Bundt , 954 5250600 SOLD , THANK YOU !